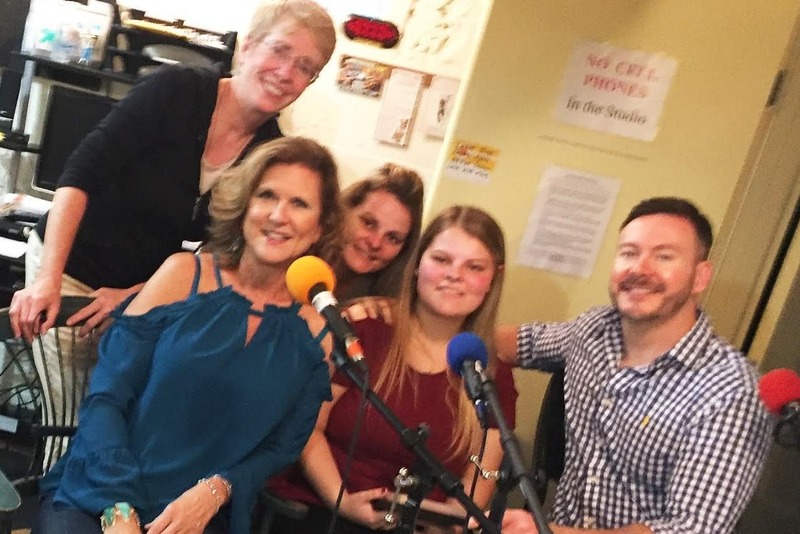 Fundraiser for Susan Coleman Layman by Eric Cooper : Help Send Kelci to College! 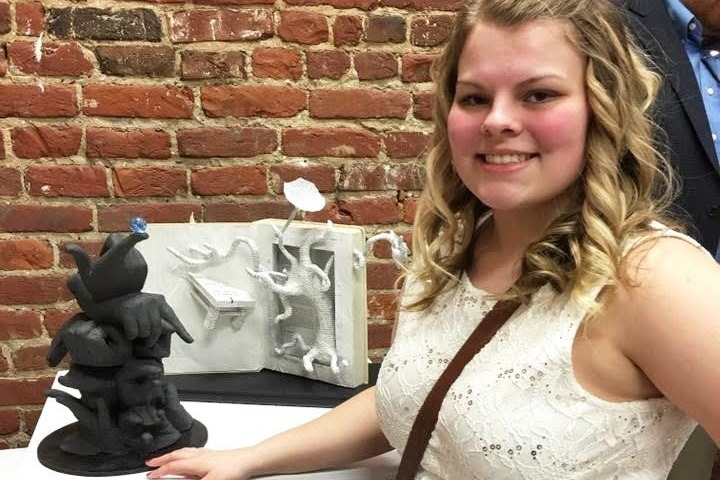 St James Court Art Show, S 4th St.
Kelci Bastin, deaf since birth, uses art - particularly sculpture - to communicate and share her feelings. At the beginning of her senior year at Jeffersonville High School across the Ohio River from Louisville, Kentucky, she entered a scholarship competition sponsored by the St. James Court Art Show, which over its 60+ year tenure has awarded thousands of dollars in scholarships to students who wish to study art in college. 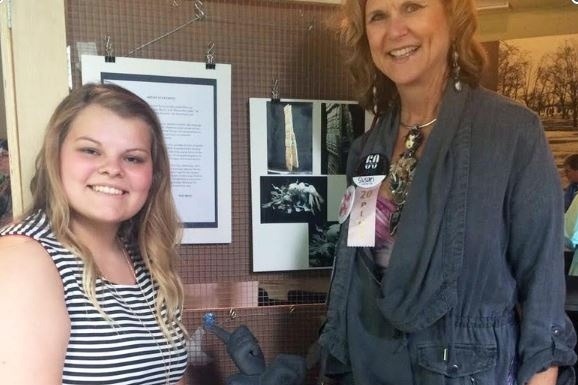 Kelci’s sculpture submissions were all impressive. Particularly touching was the piece (shown above and below) formed of one hand atop another, each shaping a letter of the American Sign Language. The juror’s decision to award Kelci $3000 in scholarship money was an easy one. Part of her award included the $2500 Susan Coleman Layman Art Scholarship, so named for the chair of the South 4th Section of the St. James Court Art Show. 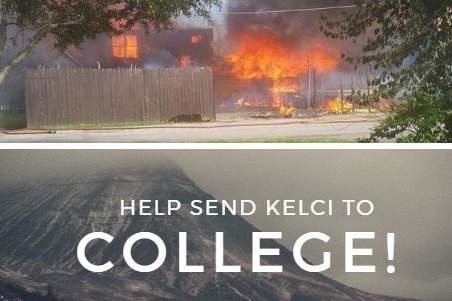 Sadly, Kelci's lifelong dream of attending the University of Louisville (UofL) to study art, literally went up in flames in April, 2017, only weeks before she was to graduate high school. Wind carried flames from a neighbor’s bonfire to Kelci’s family’s home, and it burned to the ground. 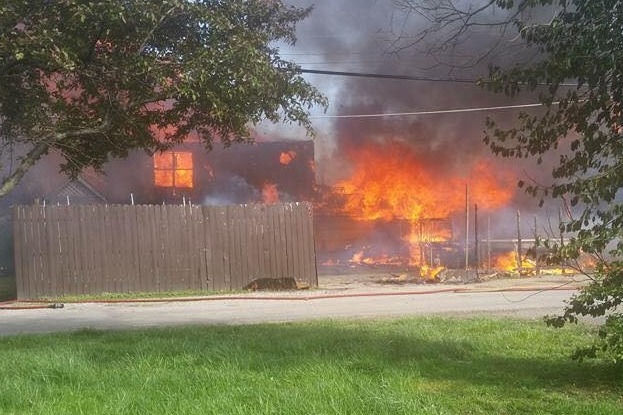 She, her brother, and their dogs, escaped unharmed; however, all of their personal belongings were lost – including Kelci’s entire portfolio of work and all her art supplies. 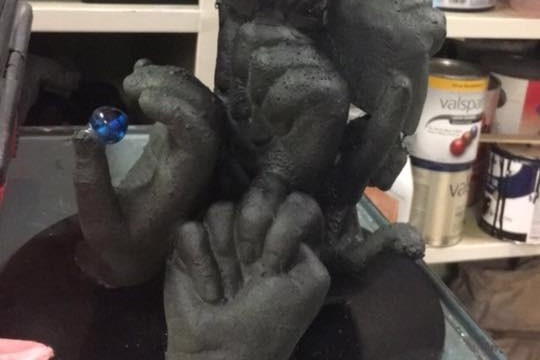 Among the lost pieces was the stunning ASL hand sculpture, which 4th Street St. James Court Art Show chair Ms. Layman was set to purchase after Kelci submitted it for her college entrance portfolio. 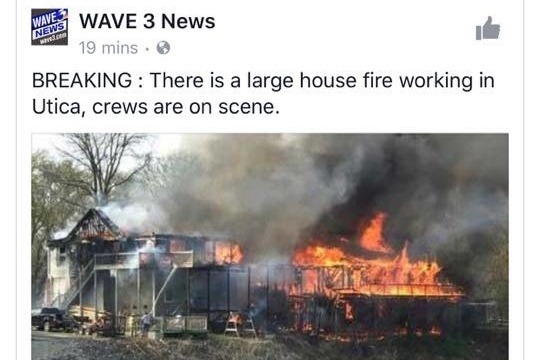 The fire was a major setback for their family. Expenses associated with finding another place to live and replacing all of their belongings took a heavy financial toll. She could no longer afford to attend UofL that fall. 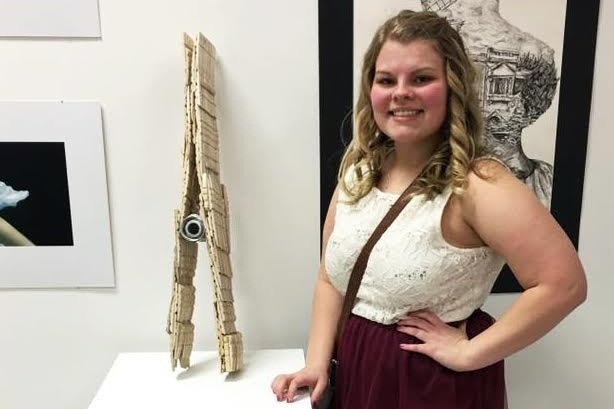 This was devastating for Kelci, who’d always dreamed of obtaining an art education at UofL. 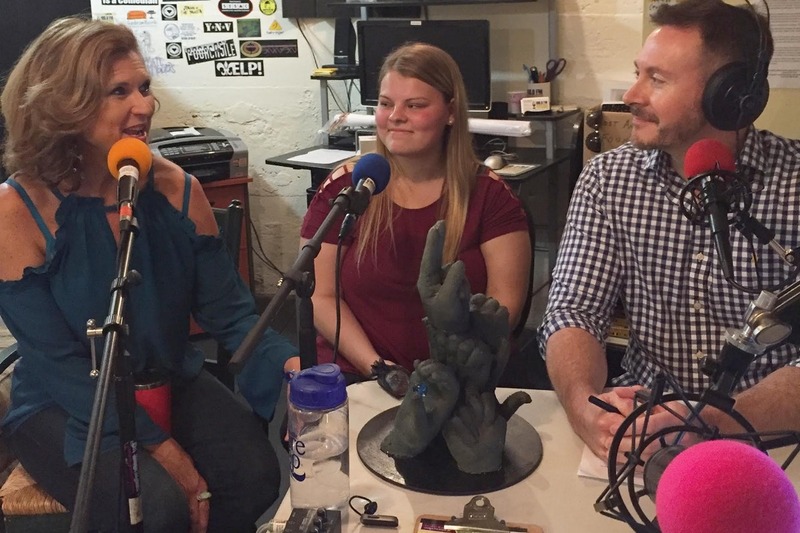 But the same drive, determination and talent that Kelci used to turn her disability into an artistic outlet, saw her through this tragedy. 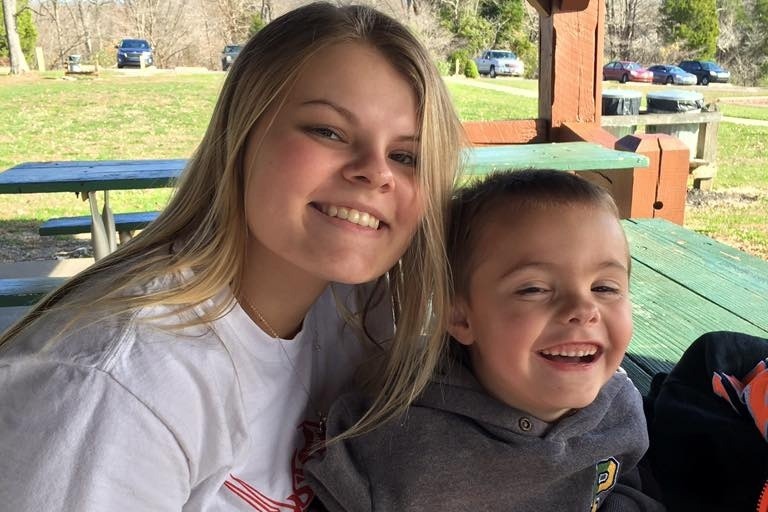 Kelci has been unable to work because she helps around the house and takes care of her 8-year-old brother while her stepdad works during the day and her mom works all night. Neither has she been able to afford, either financially or time-wise, to attend classes at a lesser expensive college. 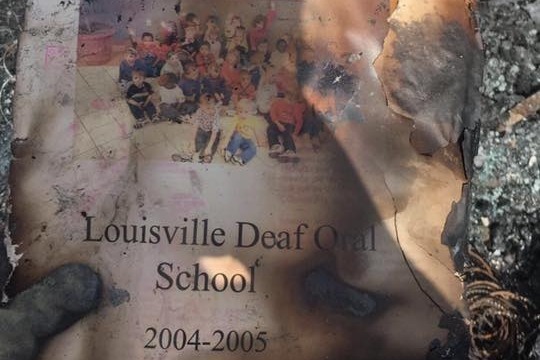 After the fire, Kelci was determined to recreate the ASL sculpture for Ms. Layman. After months of work and restocking supplies, the finished sculpture spelled out the letters S-U-S-A-N and incorporated glass beads hand-blown by its recipient. Thank you for your donation and for helping us spread the word in our efforts to send this very talented young lady, who has faced and overcome so many challenges, to college!